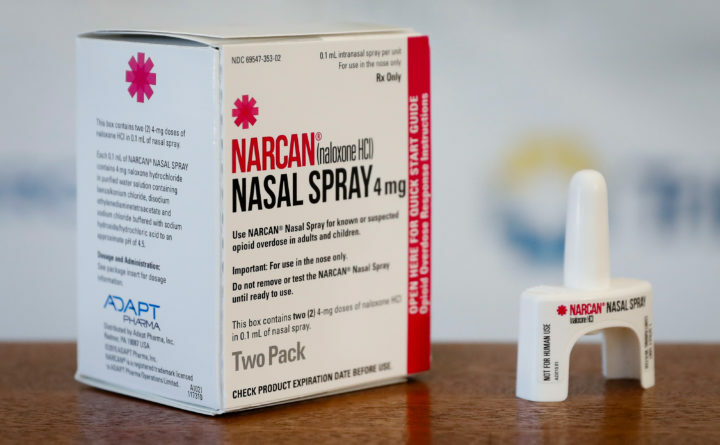 Narcan still isn’t generally available without a prescription in Maine. It is in nearly every other state. Another bill to allow pharmacists to dispense naloxone, an overdose-reversing medication, without a prescription should not be necessary. The Maine Legislature passed such a law in 2016. But, because of inaction and last-minute changes by Gov. Paul LePage, the law has yet to go into effect. Last year, 418 Mainers died from drug overdoses. Yet, Maine is one of just a handful of states that do not allow the distribution of naloxone without a prescription. Hoping to reduce this death toll, lawmakers passed a bill in 2016 to make naloxone available without a prescription. It was vetoed by LePage, but his veto was overridden. Because of an error in the way the bill was written, the issue came before lawmakers again last year. They passed a bill to fix the problem, which became law without the governor’s signature. It was then up to the Maine Board of Pharmacy to write rules to implement the law. The board unanimously approved draft rules in August. They then sat on LePage’s desk for more than five months. There was disagreement over whether the governor’s signature was even needed. In February, LePage demanded that the draft rules be changed to require that naloxone only be distributed to those who are 21 and older. The pharmacy board made the change to raise the age in the draft rule from 18 to 21. But, the policy has yet to go into effect. The board is in the process of collecting public comment on the draft rules, which are now different from the ones the board approved last year. The board held a public hearing on Thursday. It could still be weeks, or months, before the rule is finalized. And, it would limit naloxone distribution to only those over 21, which is not the intent of the legislation that began the rulemaking process. The rules were set to expire in July 2019, but lawmakers passed a bill eliminating this expiration date. It, of course, was vetoed by LePage with his usual denigration of naloxone. The veto was easily overridden. Now, House Speaker Sara Gideon, the sponsor of the original naloxone without a prescription bill, has new legislation to circumvent this circuitous and drawn-out process. Last week, she introduced LD 1892, which would allow anyone in Maine to obtain naloxone, which is sold under the brand name Narcan, without a prescription with no age limitations. If approved by lawmakers, the bill would avoid a lengthy rulemaking process at the Board of Pharmacy. Instead, the board would simply have to publish the rules, as adopted by the Legislature, for them to be effective. Gideon’s latest bill should not be necessary. But, because of LePage’s obstruction it is and lawmakers should strongly support it. LePage has long condemned naloxone as ineffective, and by corollary, those struggling with addiction as not worth helping. “Naloxone is does not truly save lives; it merely extends them until the next overdose,” he wrote in his veto letter of the 2016 bill. His contempt for those with substance abuse disorder is alarming and heartless. The first priority must be to keep those who have overdosed alive so they can get the treatment they need. Contrast LePage’s comments with those of the U.S. Surgeon General Jerome Adams, who urged all Americans to carry naloxone. “You don’t have to be a policeman or a firefighter or a paramedic to save a life,” Adams said in an April 5 speech. He pointed out that more than half of opioid overdose deaths in the U.S. occur at home. Naloxone is not a magic cure to addiction. But it can give thousands of Mainers the chance to stay alive so they can get the treatment and support they need to overcome their disease.